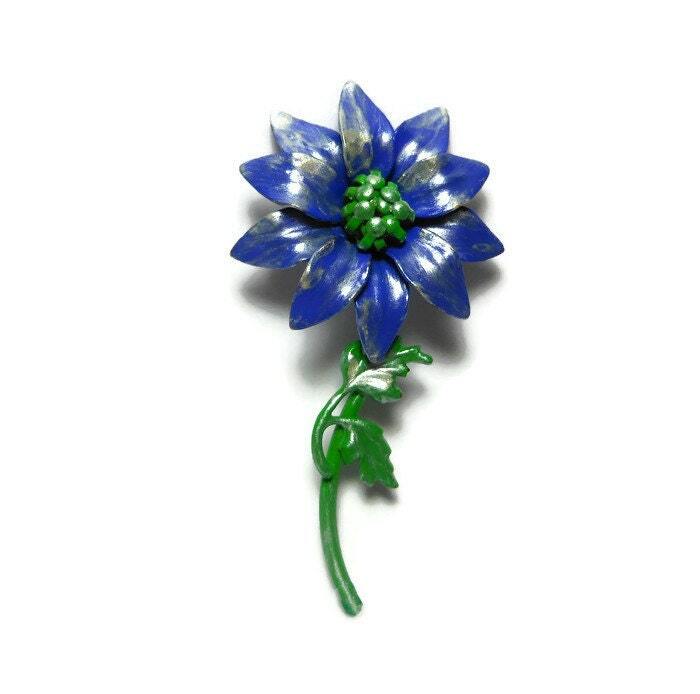 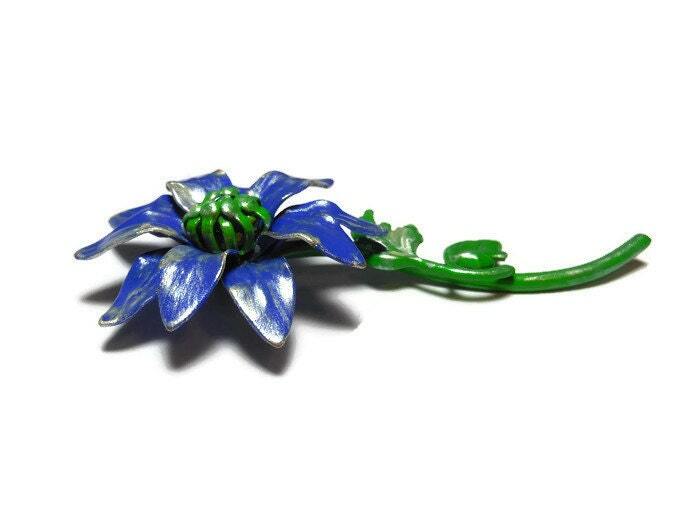 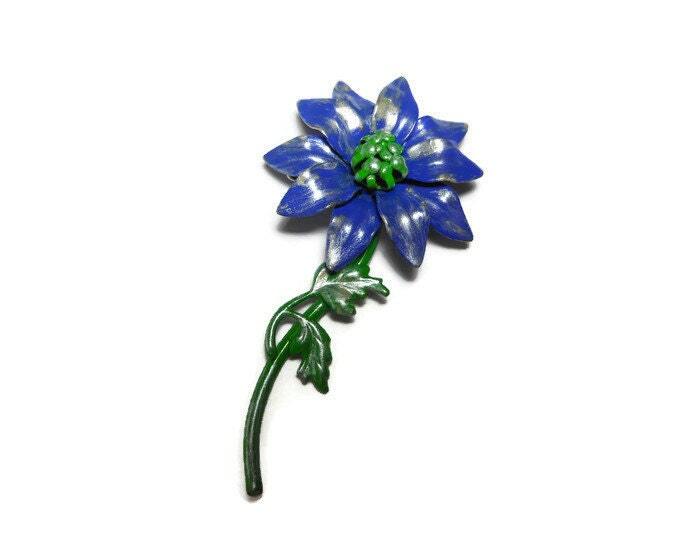 Blue floral brooch pin, enamel daisy like pin, upcycled by adding a wash of light gold antiquing glaze over the blue and green. 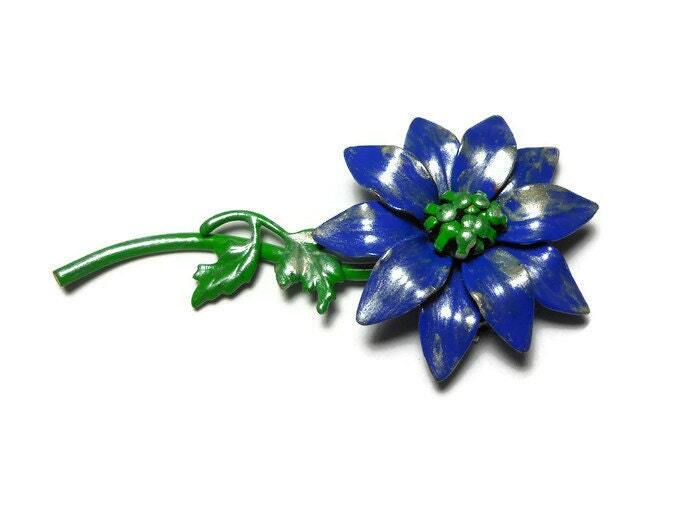 This brooch had too many chipped enamel areas to remain attractive and so I 'updated' it. 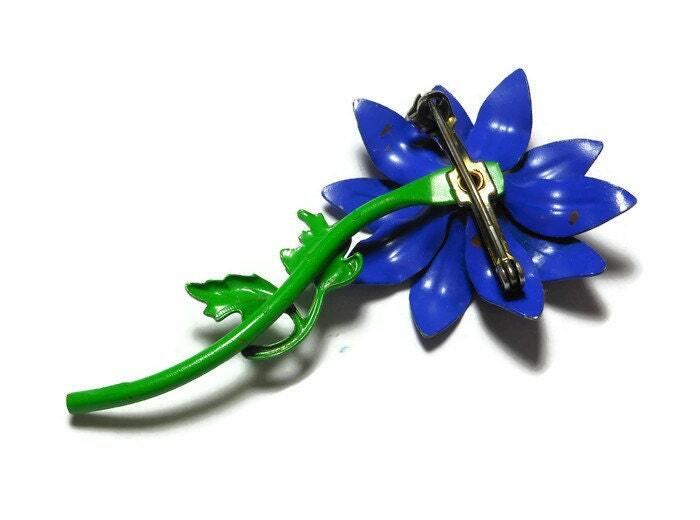 It measures 2 3/4" (7 cm) in length.